Last Wednesday I was an extremely lucky blogger as I had been invited to go and experience the ‘Summerlicious’ treatment package at The Chapel in Islington. 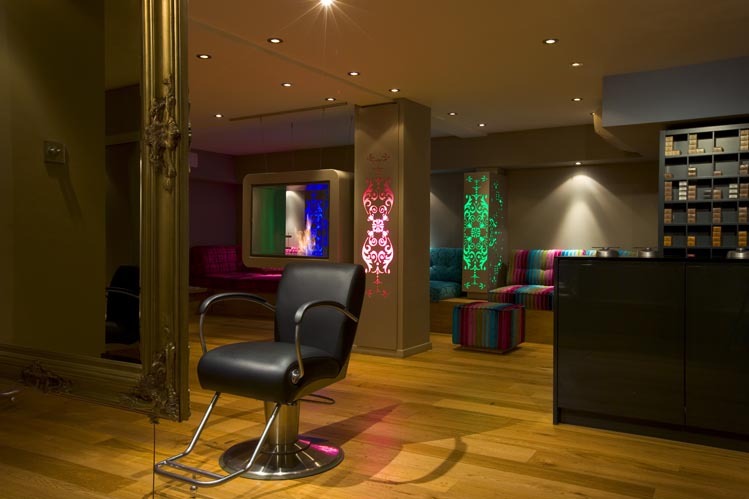 Before I go into detail about my experience I will tell you a little about the Summerlicious package – it costs £200 and includes a full pedicure, shape and polish, hair cut and ‘floating lights’ colour treatment. The floating lights is a unique technique to deliver the perfect brightening colour without the hassle of regrowth, leaving you with a head of locks that look naturally brightened from the sun. So that’s the treatment, what was the experience like? Well, if you are looking for a whinge or something negative then I’m afraid you have to look elsewhere. I can absolutely honestly say that the evening I spent in The Chapel was the best salon experience I have had. From the moment I walked through the door I felt comfortable and welcome, absolutely every detail is taken care of. The wonderful receptionist, Ezara showed me to the plush waiting area (no plastic seats and shabby magazines here) via the lockers where I tucked away my bag and jacket – leaving me phone free for the duration of the appointment. Excellent start, it was actually nice to be disconnected for a few hours. so please excuse the tired looking eyes! The waiting area is spacious, with plush shabby-chic couches. This is where you have your consultation – the setting instantly put me at ease at it felt more like a living room than a hairdressers salon. It was here that I met Billie and Georgia (my colourist and stylist for the day) who were wonderful from the very start. Again, so friendly and welcoming I actually felt sorry for them as it meant I went into chatterbox mode and probably bored them senseless with my endless wittering! I’m naturally quite chatty, but when I’m in the salon I’m often bored by the ‘so are you off on holiday this year?’ small talk and would rather bury my head in a good magazine. Not this time though, I was more than happy to chat away to everyone! The consultation was an absolute revelation. Another contrast to the usual hairdresser speak, I chatted to Billie and Georgia about what I wanted, what I liked and didn’t like about my hair. When I last had it coloured, how I style it, a bit about my lifestyle and the sort of music I like… all in all I felt it gave a really thorough picture of me and my hair. The most revolutionary part – I really felt like I was being listened to. Colour wise, as I am blonde Billie decided to take a slightly different approach to my hair than the floating lights. Putting some darker bits through the bottom and around my face to help add depth and make my hair appear thicker. This is an amazing trick and I wish I had known about it years ago! I was warned that because of the highlights I have had previously (with bleach) the darker shades probably wouldn’t last as long as I would like, which was fine. So far I have been very bad and washed my hair every day and the darker bits have faded but are still visible. I really like the darker bits and plan to have them put in again. Post hair-consultation the first step of my ‘summerlicious’ (I feel I should be in a cheesy pop group flicking my hair writing that) treatment was the pedicure. The Chapel’s resident beauty therapist, Kay (she’s on twitter at @BeautyMaze) is fabulous. So friendly, she helped me pick out colours for my nails – encouraging me to try something a bit different I went for a combination of a dark blue on the nails (a stunning shade called Miss Behavin from Leighton Denny) and a paler creamy mid blue on the toes. I don’t usually go for blues but this has given me a real taste for it – I absolutely adored the dark blue on my nails. It was only last night (Tuesday) that I removed it and until Monday I had been about 95% chip free. For a shape and polish I thought this lasted really well. The nail and toe colour combo. Trying to avoid the full-on foot shot. My feet were scrubbed, soaked and generally pampered and then polished off with the lovely paler blue. This is still going strong now – no chipping or anything that I can see. Had I been lucky enough to be going anywhere a beach anytime soon I would have felt well prepared to get my feet out. Unfortunately the British weather means my polished feet are tucked away inside boots. Yes, boots, in August. It’s a disgrace! Back to the treatment. I really liked how it all started with the pedicure – a great way to relax and get into the ‘pampering’ mood. It was lovely to have a good natter with the lovely Kay about all things beauty (we managed to cover salon treatments, hair extensions, twitter and blogging… and that’s just a start). After this I was led over to a spot in the colouring area. Which all felt very cosy thanks to the mood lighting and gorgeous decor. Billie got to work on my hair and again, much chatting ensued. Part way through the colour Kay came back over and got painting my nails. At this point it all felt a little surreal – I’m not used to such luxury! You can spot the striped cushion thingy that I want in my living room. I was then led back to the sofas (one of which I really want by the way – the rainbow striped one you can see above) to relax, read a magazine and have a make-up consultation. Kay brought out a lovely mood board covered in images of different make-up shades from Spring/Summer collections and talked through different ideas. Billie then took me over to wash the colour out and for the most amazing part of any trip to the hair dressers – the head massage. Didn’t disappoint! One of the other things I should mention that sets The Chapel apart is that they don’t employ assistants. So Billie and Georgia looked after me/my hair all the way through – everyone has a muck in attitude and is just as happy to get new towels and a cup of tea as they are to create a new style. Then it was up to Georgia to cut my hair into a style in the wonderfully spacious upstairs salon area – this was no mean feat as I have stuck with the long blonde and fairly boring style for the past couple of years. I was feeling brave so decided to take the plunge and get a fringe cut in again – considering I have spent the last two years growing one out, this is quite a u-turn. Georgia listened again to what I was looking for – I had spotted a couple that I liked whilst flicking through Grazia during my pedicure. I felt I wanted a choppy, not too neat fringe that I could either have down for a strong look or push to the side if I preferred. This is what she delivered. I loved that she made my hair a little choppy rather than neat and styled – it felt it had texture, which is hard to achieve when my hair is pretty much poker straight. Leaving the salon with a fringe felt a bit odd and has taken a couple of days to get used to. But the colour and style mean it’s exactly what I wanted and I love how my hair feels and looks thicker and actually looks like a style. No, it doesn’t mean I’m all polished/groomed – but the style means it looks like it’s meant to be a bit messed up. I like that. I should also mention that for bookings The Chapel have a different approach to pricing – which I really like. They charge by the hour, depending on which stylist/colourist you want. So instead of booking for half a head of highlights and trip, you book say a couple of hours with Georgia. This makes the initial consultation all the more important as that’s when you meet with your stylist and decide what you will have done and how long it will take. I left the salon feeling like I was on cloud nine. I almost wanted to hug them all as I left. I felt like a princess and will 100% go back there. I said it at the time, but it’s the first time I have been to a salon that I can truly see it’s worth spending the extra cash for. Plus it doesn’t hurt that it’s a very convenient 5min walk from my flat….! My overall view of The Chapel – It’s an outstanding salon, fantastic approach to customer service with wonderful people and I love my new hair/nails! Thank you to Kay, Billie, Georgia and the whole team for such a lovely evening of pampering – I’ll see you again soon for a fringe trim and a top up of the dark bits. 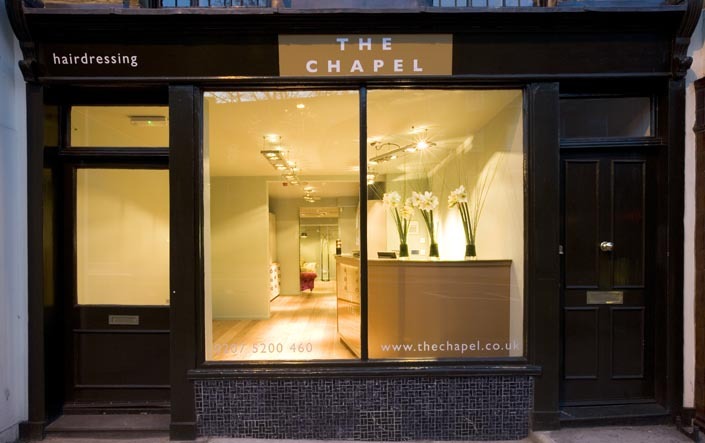 If you want to find out more about The Chapel (they also have a branch in Tunbridge Wells) you can visit http://www.thechapel.co.uk/islington/ or call them on 0207 5200 460. What do you think of the new hair??! The summerlicious appointment was provided free of charge for review. my goodness, your hair looks absolutely FAB! love the bangs on you and the new colour suits you so much more. i love how they coloured some parts darker, it really does make you hair look much fuller. Thank you! It takes a bit of getting used to, but I am liking having a fringe again. Plus it’s amazing how the colour makes a difference! Hair is gorgeous. Fringe really suits you. And the nail colours. I love leighton denny. I didn’t get to see you at the end, but the fringe and the new hair colour are F.A.B.U.L.O.U.S. Really suits you! I ‘m really happy you enjoyed your time with us and the nails seems to have lasted you well too. Big hurray all round. Don’t be a stranger now! Wow your hair looks great, I really like the fringe on you. 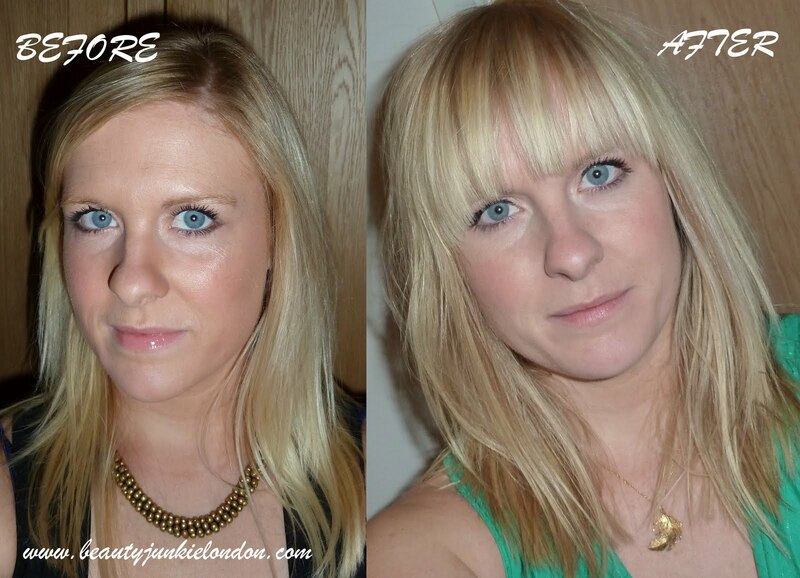 I do that as well- grow out fringe, get fringe cut in, grow out fringe, get fringe cut in again, over and over. 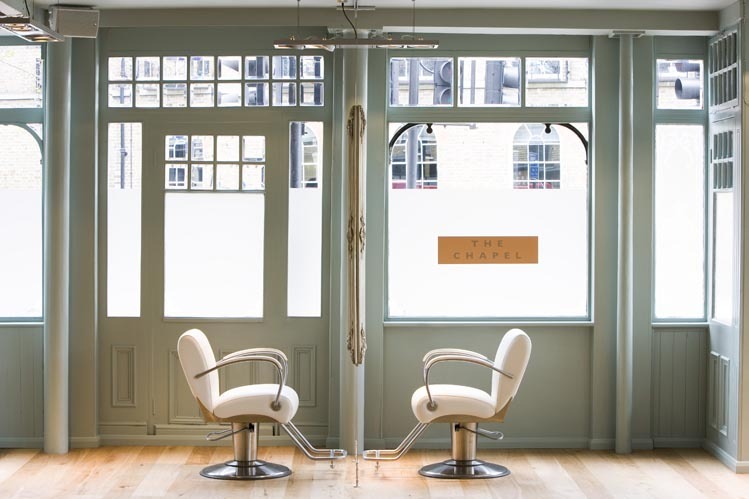 This sounds like a great salon, well worth going into work an hour early for! Having seen you in real life since you had the cut and colour, I can confirm that your hair looks EVEN BETTER in real life than in the photos! It looked really good – really suits you!